Dance review • Production is fast-paced, fresher than ever. Rick Egan | The Salt Lake Tribune Ballet West performance of "The Nutcracker" at the Val Browning Center in Ogden Nov. 23. Rick Egan | The Salt Lake Tribune Ballet West performance of "The Nutcracker" at the Val Browning Center in Ogden Nov. 23. Rick Egan | The Salt Lake Tribune Ballet West performance of "The Nutcracker" at the Val Browning Center in Ogden Nov. 23. Rick Egan | The Salt Lake Tribune Ballet West performance of "The Nutcracker" at the Val Browning Center in Ogden Nov. 23. Rick Egan | The Salt Lake Tribune Ballet West performance of "The Nutcracker" at the Val Browning Center in Ogden Nov. 23. Rick Egan | The Salt Lake Tribune Ballet West performance of "The Nutcracker" at the Val Browning Center in Ogden Nov. 23. Rick Egan | The Salt Lake Tribune Ballet West performance of "The Nutcracker" at the Val Browning Center in Ogden Nov. 23. Changes in Ballet West's 2011 "Nutcracker" all serve to pick up the pace and sharpen the edges of this year's seasonal performance. Fine-tuning the comedic timing through more specific choreography in the party scene, several new costumes, and the quicker musical tempo made the performance tight and crisp. For the Dec. 14 cast, a Drosselmeyer with an attitude and the marvelous Tilton brothers (Rex and Ronald) as the disembodied head and feet of Mother Buffon contributed to the liveliness of the entire evening. Act I is the set up for Act II, so it's always surprising that the first act is more engaging than what follows  although it's pretty hard to compete with adorable children and jesting giant mice. The Waltz of the Flowers section in Act II was strong both choreographically and in performance. Dancers Elizabeth McGrath and Christopher Anderson gave a genuine performance with a beautifully lyrical, personal interpretation. The artists of Ballet West swirled around them in sparkling, supportive movement. The Sugar Plum Fairy performed by the delicate Sayaka Ohtaki  with Thomas Mattingly as her Cavalier  captivated the audience. Sayaka's natural balance and exact sense of line allow her to easily slip into near-perfect balletic positioning. Mattingly displays his generosity as a partner, lifting and maneuvering Syaka's feather-light body in almost a protective manner. Mattingly's (and Anderson's from the Flower's pas) leaps and landings were soaring with soft, exact landings. Dancing the role of a fairy, especially the powerful Sugar Plum Fairy, requires a magical interpretation, beyond mere mortal dancing. Sayaka needs to find that internal mischievous sprite to fill out the role. But when Mattingly and Sayaka become more comfortable, it will be glorious. New costuming in Act II had its ups and downs. 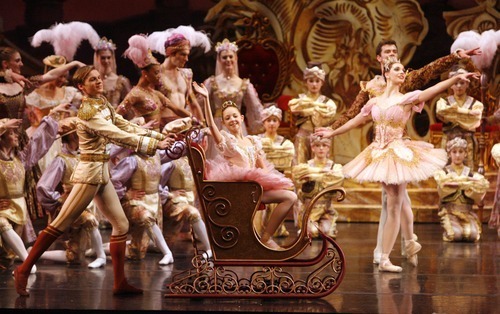 The pink and gold for the Sugar Plum Fairy is over the top, and all the women's crowns are too large. McGrath's tutu is stubby in comparison to her body and would be more elegant if it were larger. 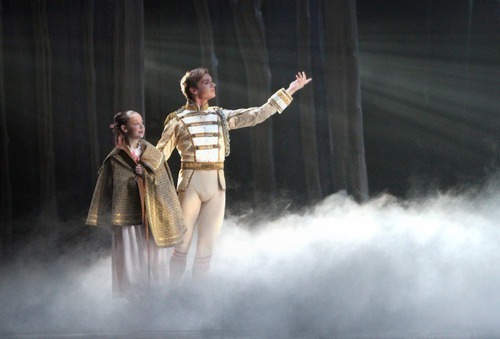 Where the new Act I costumes add to the story and enhance the choreography, in Act II they are distracting. Associate conductor Jared Oaks held the baton on Wednesday solidly synchronizing the dancers with the Utah Chamber Orchestra. 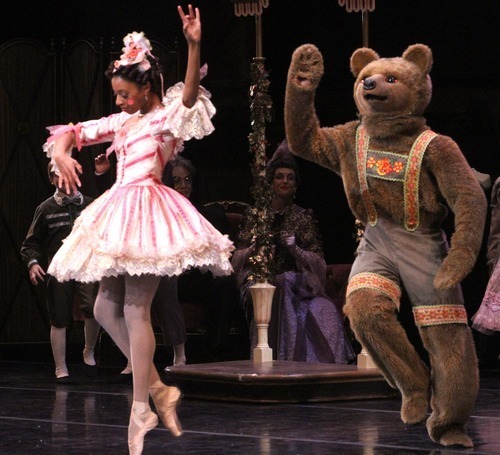 I haven't seen "Nutcracker" performances all across the nation, as New York Times dance critic Alastair Macaulay has. Still, I understand why Ballet West's version was the favorite of Macaulay's national tour of "Nutcracker" productions last year. The production couldn't be more charming, nor one danced with more heart. In the five decades of Ballet West's "Nutcracker" performances, there have been years in which it appeared tired and frayed. Not recently, though. 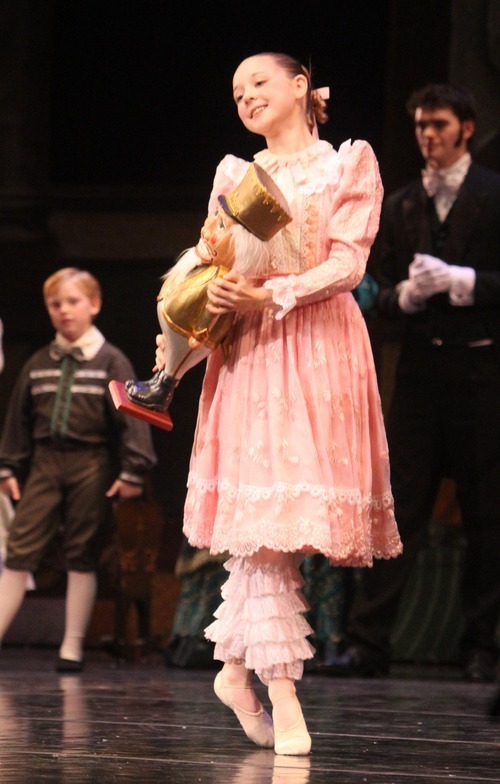 At the Dec. 3 matinee, the Dancing Doll (Lindsay Duerfeldt) looked utterly mechanical, just as she should. Nothing else did. Willam Christensen's opening scenes for "Nutcracker" may have little to do with ballet, but they have everything to do with entertainment, and they've never looked more rich and polished. Artistic director Adam Sklute has a showman's touch that Christensen  vaudevillian that he was  would likely applaud. The children of the cast, drawn from Ballet West Academy and area dance schools, are integral to the success of the show, and perform with professionalism and joy. As Clara on Saturday afternoon (four dancers alternate), spirited Madison C. Young was a joy to watch. The party where Clara receives her toy nutcracker includes little domestic comedies played to the hilt. Magic and exuberance spill from the stage as the opulent Christmas Eve party gives way to Clara's spooky dream of giant mice fighting the nutcracker and a regiment of toy soldiers. 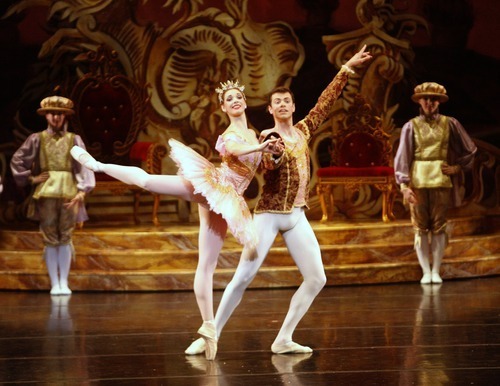 As we all know, the toy nutcracker becomes a handsome human prince (Christopher Sellars), who escorts Clara to the Land of the Sugar Plum Fairy  a rose-colored world where she is regaled with an international array of ballet treats. Not before a visit to the Land of Snow, however. Audible "oohs" from the many little girls in the audience were heard as the stage filled with mist, falling snow and swirling ballerinas. Haley Henderson Smith and Easton Smith, both tall and blond, gave their Snow Queen and Cavalier more ice and shimmer than delicacy  appropriate enough here. Standouts in the Saturday cast included Arolyn Williams' vibrant Flower Queen, Aidan DeYoung's athletic performance as lead Chinese Dancer and Rex and Ronald Tilton's cooperative turn as Mother Buffoon (top and bottom halves), which made much out of little, drawing loud laughter. Christopher Anderson's Drosselmeyer lacked mystery in the earliest scenes but acquired some during the dream scene. It was Katherine Lawrence, as the Sugar Plum Fairy, who owned the evening, though. Her dancing is precise and beautiful, and she radiates youthful freshness. Michael Bearden gave a generous performance as her Cavalier and revealed his own fine footwork, too. 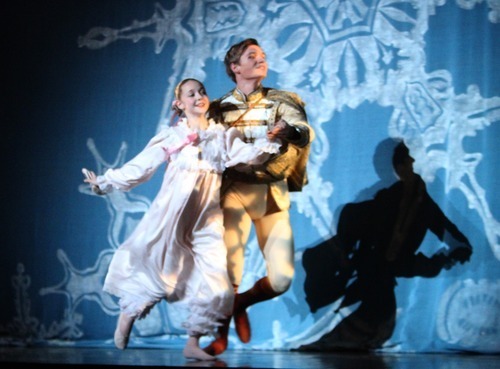 There are good reasons that Ballet West's "Nutcracker" has endured so long. Christensen's original is honored in the current production but is improved by subtle changes. It's faster-paced, more detailed and is acted as well as it's danced. The children in the cast charm but also impress. Take the children you love to see it, and don't be surprised if you enjoy it as much as they do. 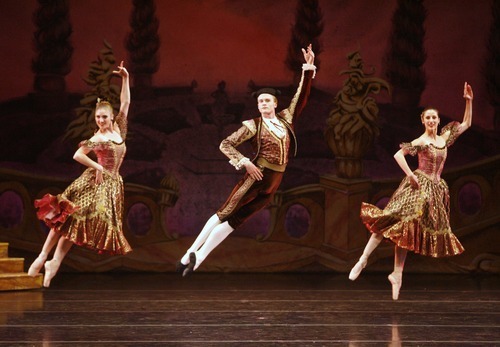 In its sixth decade, Ballet West's "Nutcracker" is faster-paced and fresher than ever. A holiday must-see. More • Sugar Plum Parties, $5, will be held after matinees (exec. Dec. 24 and 31). "Nutty Nutcracker" performances will be Dec. 30 at 7 p.m. and Dec. 31 at 2 p.m., which feature whimsical surprises tucked into the traditional choreography.